PokerTime is a brand dating back to the early 2000s. They’re still active in the global market, and are not open to US players. They are probably most well known for their $5 no deposit bonus offer, which any reader here can claim. They also offer a 100% up to $300 bonus, which has an above average value. PokerTime offers a 100% up to $300 poker bonus and is currently ranked #6 out of 28 reviewed poker rooms with an overall score of 100.00. 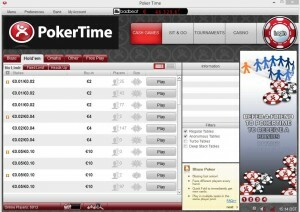 Visit PokerTime.eu for more details and to download the official PokerTime software. Honestly, this is probably the reason you are thinking of signing up at PokerTime anyway, and it must be claimed before the deposit bonus, so I might as well discuss it first. 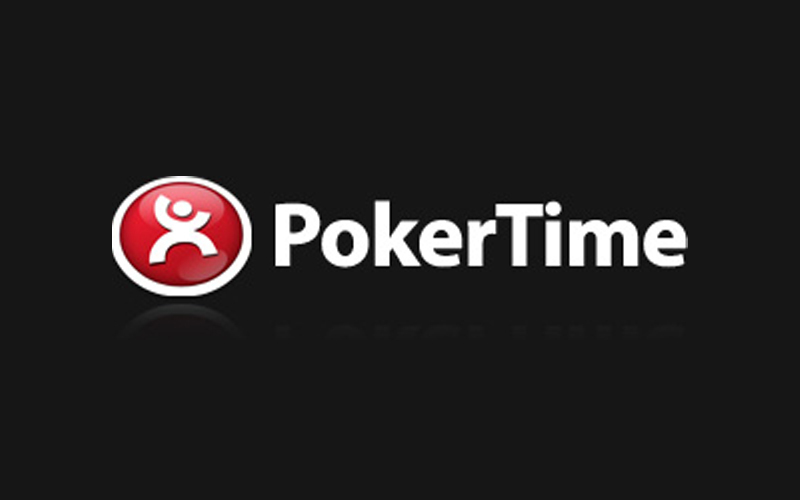 2) Click on any of the download links to download and install the PokerTime software. 3) Open a new account – this offer is for new players only. 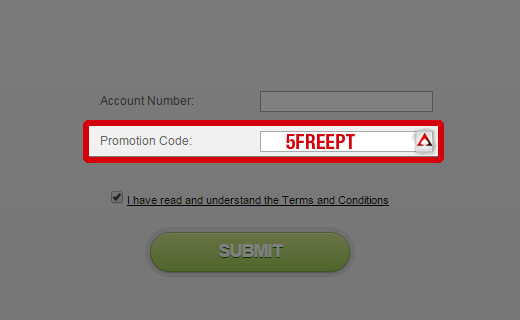 The 5FREEPT code should already be filled out for you, you will only have to enter your account number. This number will be emailed to you after creating your account in step 3. Once you enter the promotion code, it will take up to 24 hours on a weekday, or 48 hours on the weekend, for the $5 free to appear in your account. Just remember that and try to be patient! See that “I have read and understand the Terms and Conditions” link that is auto-checked and that you have no intention of reading? There are a few things in there worth mentioning. First off, the $5 free has to be claimed withing 7 days of opening your account or you can never receive it. So make haste and do that. Secondly, a total of 20 points (called Real Rewards) must be earned before a cash out can be processed. This is equivalent to raking $6.67, so is certainly possible. According to their terms, players have an unlimited amount of time to earn these points, but if you do not play during any 7 day period, the bonus will expire. There aren’t any max cash out terms or anything like that, so it’s possible to run this $5 up to any amount. Keep in mind the minimum cash out is $50. The player acknowledges that casino management may reverse any or all funds out of any casino account, which is, in its sole opinion, undesirable or dormant for a period of 6 months. Any “real” funds i.e. not promotional or bonus funds (dealt with in terms of additional terms and conditions) in any such casino account will be claimable for 6 (six) months thereafter unless the reversal occurred as a result of what, in the sole opinion of casino management, it considers to be fraudulent activity. 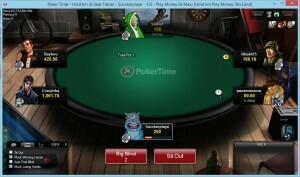 Players who discover that their accounts have been affected in terms of this clause shall be entitled to lay claim to such “real” funds upon application to the casino, whereafter such funds will be refunded to the player, provided that application has been made within the aforementioned 6 (six) month time period. So basically what they’re saying is, if you have money in your account and don’t play for 6 months, they’re going to take it. After they take it, you have another 6 months to email them and say “Hey, give that back.” If you don’t email them, your funds become theirs forever. This is a huge meh for me and I really wish it wasn’t there, but just make sure to keep a note of that. While $5 isn’t a lot of money, it is possible to build your entire bankroll on it and move up on levels, without ever making a deposit. I’ve known many people who have started with amounts in the $5-$10 range and ended running it up to thousands, never need to make a deposit in their poker career. So give it a shot! Realistically, you won’t become rich, but it’s completely free money with no risk to you. The 100% up to $300 deposit bonus offered by PokerTime is available for all new players. You can still claim the deposit bonus after claiming the $5 free offer, described above. There is no reason to not claim the $5 free offer before the deposit bonus, so I suggest doing that before making a deposit. Once you’re ready to activate the deposit bonus, simply make your first deposit of at least $20. No bonus code is required, it will trigger upon making your first deposit. The bonus is a 100% match, up to $300, so deposit $300 or more for the maximum possible bonus. The bonus is cleared by earning points called Real Rewards. These points are awarded at the rate of 3 points per every $1 paid in rake or tournament fees. The bonus is released in $1 increments each time 6 points are earned. The math is super easy on this one, each time you pay $2 in rake, you get $1 back, setting the value at 50% rakeback. A total of 1,800 points must be collected for the full $300. The bonus must be earned within 30 days, which doesn’t seem like much time, but since the value is so high, it is definitely possible to clear. A total of $600 in rake must be generated, setting the rake per day pace at $20, or 60 points per day. Real Rewards can be converted to cash at the rate of 10 points per $1. This equals out to 30% rakeback. This means while clearing the bonus, players have a total value of 80% rakeback, which is near the highest you will find online! Players can continue to collect points and convert them for cash to earn 30% rakeback forever. HOWEVER, Real Rewards expire pretty quickly – after just 30 days of inactivity. This means if you don’t play for 30 days or longer, and have points in your account, they will be removed. Therefore, always remember to convert points as soon as you can! The below table shows an approximation of how many hands it will take to clear the full $300 bonus. These numbers may not 100% exact and should be used as an average to give you a general idea, rather than an accurate amount. This is because the rake generated varies widely based on playing style. In general, aggressive players generate more rake while more conservative players generate less rake. Therefore, if you tend to play more aggressive, it may take you fewer hands, whereas if you play more tight, it may take you more hands. If you’re looking to play now, you can visit PokerTime.eu now from any device or platform and start earning your $300 deposit bonus! Looking to get started? Signup at PokerTime through Bonus Ace by using the link above. New players can receive the 100% up to $300 opening bonus offered, described in this review.